Ah, but we die to each other daily. During which we knew them. And they have changed since then. That at every meeting we are meeting a stranger. 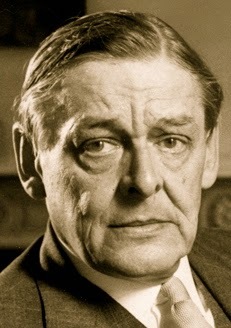 Excerpt from The Cocktail Party by T. S. Eliot. © Mariner Books, 1964. 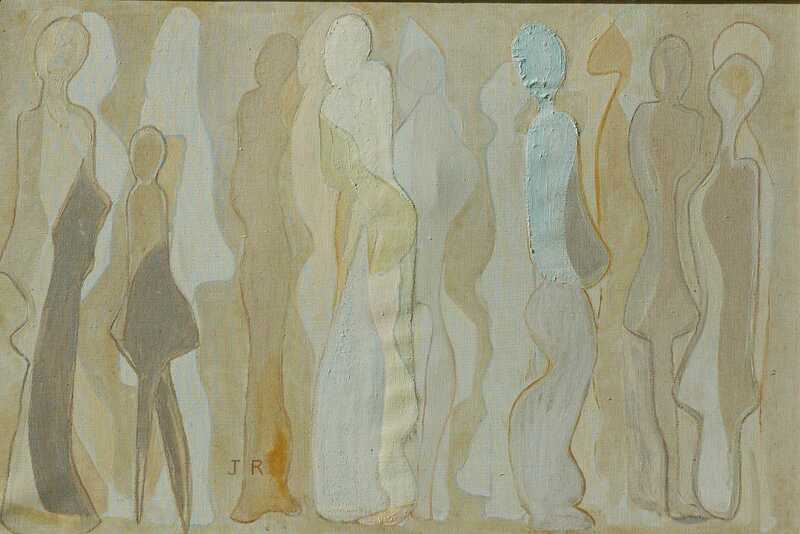 Image credit: "The Cocktail Party," oil painting on canvas, by Jane Roberts (originally color). Edna St. Vincent Millay: "Afternoon on a Hill"
Jalal ad-Din Muhammad Rumi: "What Was Told, That"
Seamus Heaney: "Had I Not Been Awake"
Jeanne Lohmann: "To Say Nothing But Thank You"
David Allan Evans: "Waking Up"
Ellen Waterston: "Designed to Fly"
John O'Donohue: "For the Senses"
Robert Arthur Lewis: "The Painter"
Mark Kraushaar: "What the Dead Know"
David Whyte: "The Opening of Eyes"
May Sarton: "A Glass of Water"
e. e. cummings: "i am a little church"